Comparing the departmental rankings of leading public research universities to the overall rankings of the same schools by U.S. News yields striking disparities, emphasizing the impact that selectivity, class size, and financial resources have on the U.S. News listings, to the detriment of other factors. 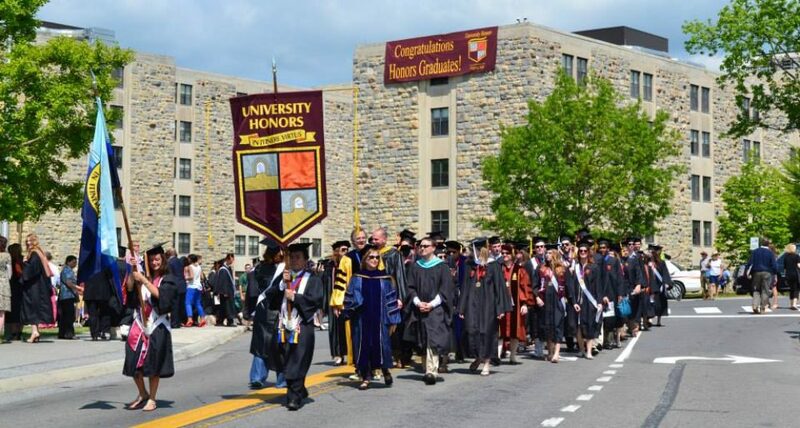 As we have pointed out elsewhere, honors students have fewer concerns about class size because honors classes in the first two years tend to be much smaller than regular classes; and while selectivity is a driver of graduation rates, honors students have a six-year rate average grad rate approaching 90 percent in major public honors programs, with many significantly higher than 90 percent. We have also commented before that the strong faculties at leading public research universities are competitive with many private elite national universities. Soon we will update our post that compares the most recent departmental rankings of both public and private research universities. In the meantime, below are the public research universities with the highest overall departmental rankings, listed along with their U.S. News ranking to illustrate the disparities. The fifteen disciplines surveyed are business (undergrad); engineering (undergrad); biological sciences; chemistry; computer science; earth sciences; economics; education; English; history; math; physics; political science; psychology; and sociology. Please note that many universities with highly-ranked academic departments (e.g., Indiana, Minnesota) do not have correspondingly high rankings in U.S. News. The converse is also true: some highly ranked universities (e.g., Virginia) don’t have the highest ranked academic departments. One of the main reasons for this kind of discrepancy is that U.S. News emphasizes selectivity and small class sizes, and some public universities with extremely strong faculties are not highly selective (Wisconsin, Minnesota, Illinois, Washington) or have larger classes than many other universities. But many class sections over the first two years, normally large for non-honors students, are usually much smaller for honors students. The takeaway for prospective honors students: selectivity for the university as a whole and the size of all classes at the university are less important for you than for non-honors students. We certainly recognize the excellent instruction that occurs at, for example, William & Mary, Wake Forest, Lehigh, Carlton, Swarthmore, Williams, etc., regardless of whether or how highly their academic departments are rated. But for highly qualified students who are looking at large research universities, we do believe the rankings of departments matters quite a bit. Not included below are universities that do not have ranked departments in at least 13 of the 15 academic disciplines. Notable among these is Georgia Tech, with its nationally renowned engineering programs and a very strong business department. UC Berkeley has an average national departmental ranking of 3.33 across the 15 disciplines mentioned above. Please bear in mind that the rankings below include all national universities, public and private. All of the top five universities below–UC Berkeley, Michigan, Wisconsin, UCLA, and UT Austin–have no academic departments among the 15 disciplines surveyed that are ranked lower than 30. This entry was posted in Best Value and Finances, National Rankings and tagged department rankings u.s. universities, universities with best academic departments by Honorsadmin. Bookmark the permalink.